The 1950's style Royal Windsor Landaulette. 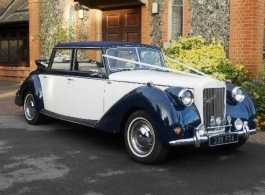 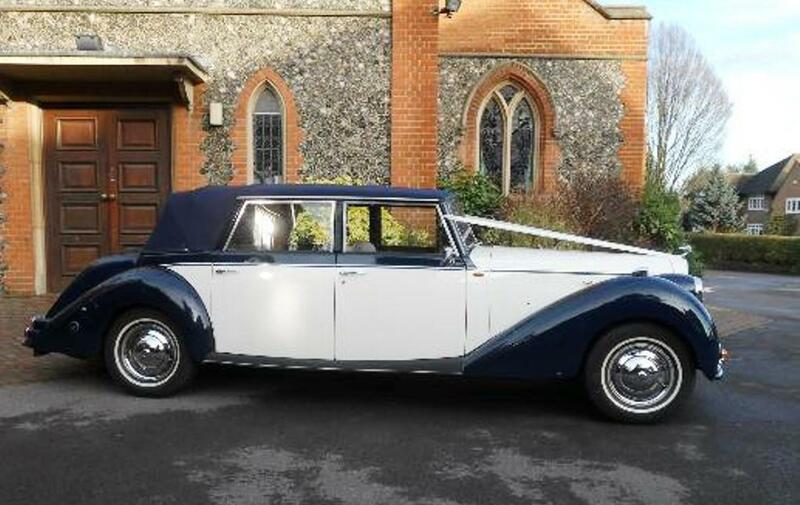 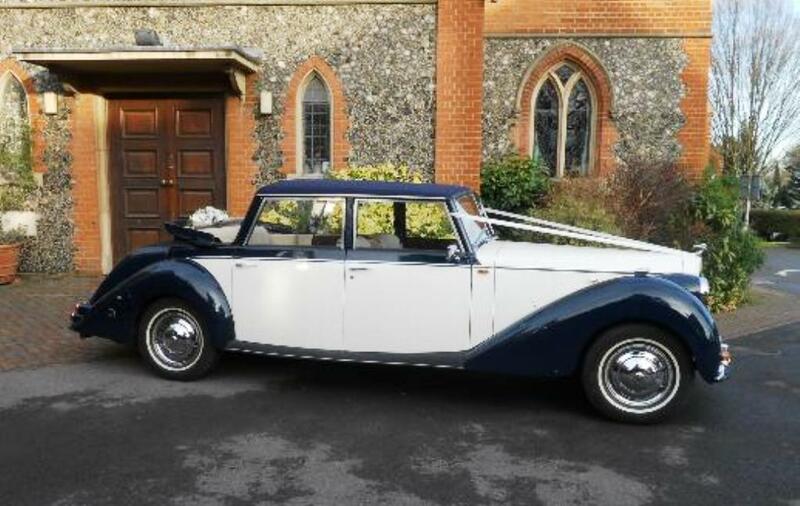 This stunning, regal wedding car with rich the colours of Midnight Blue and Cream, is elegant, beautiful and unique in every way. 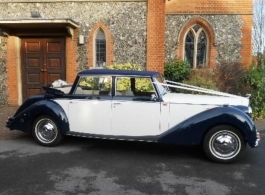 The wide opening doors provide easy access and the very spacious interior is perfect for brides with the largest of wedding gowns. 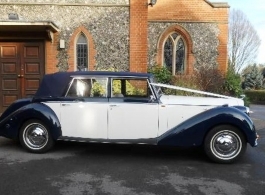 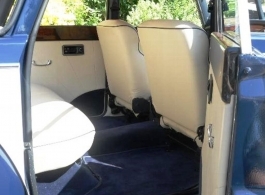 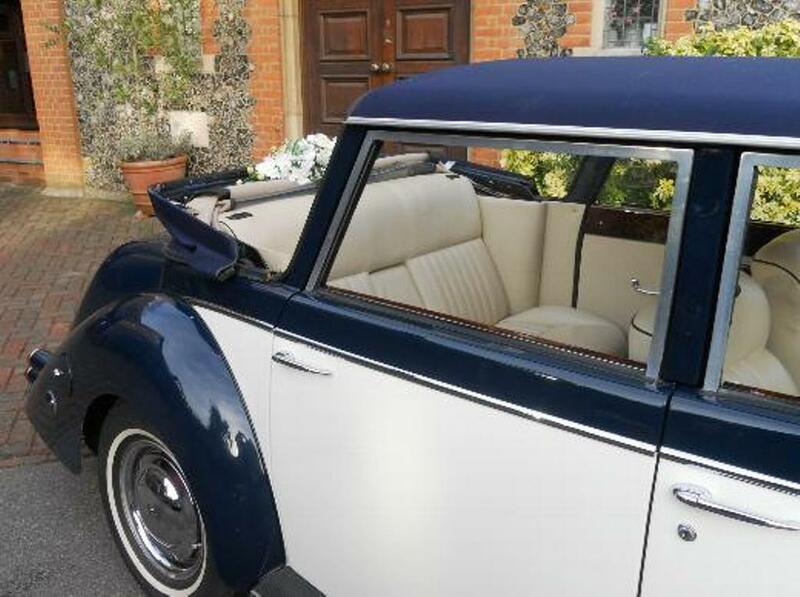 This pure luxury wedding car has a convertible roof to the rear of the vehicle which can be lowered or raised in seconds.